I've been slowly buying things I'll need for my trip and collecting them in the corner of my office. So far I've got my big backpack (the REI Vagabond Tour 40), day bag (REI Flash 18), water bottle, flip flops, sleep sack and more ready to go. I decided to go with the REI Vagabond Tour 40 after reading several reviews online and trying it on in the store. It's large enough that it should be able to hold everything I need for my 6 month trip but it's small enough to still act as a carry-on for most flights. 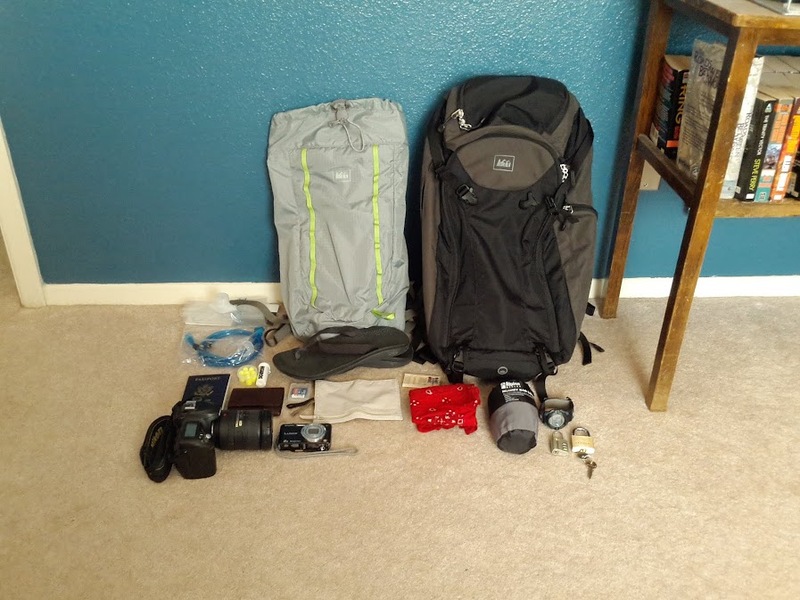 I'll use the smaller day bag for walking around cities or for day-hikes when I'm in the Alps. It has an integrated pouch for my Platypus water bottle and can be turned inside out and used as a stuff sack when I'm not using it during the day. The sleep sack is used in hostels as a barrier between me and the bed/sheets. It packs up extremely small and doesn't take up too much room. 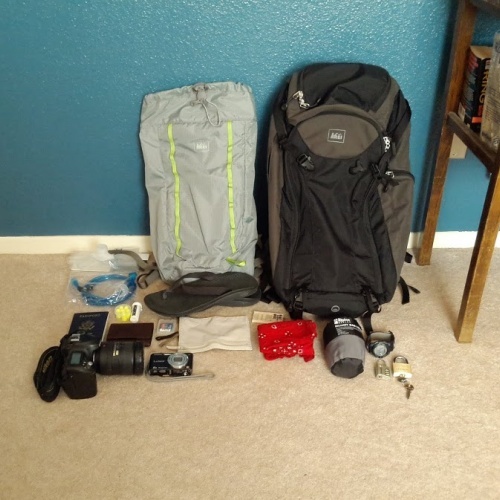 You can check out my entire packing list by clicking on the Preparation link at the top of the page.